Wellesley's Russian Department was founded in the 1940s by famed author and critic Vladimir Nabokov. Since that time, the Department has dedicated itself to excellence in literary scholarship and undergraduate teaching. Russian is a small, congenial and adventurous department devoted to working closely with students and tailoring courses of study to their individual needs. At Wellesley, Russian is always taught in the broader context of Russian society, culture, visual art and music. Numerous activities both inside and outside the classroom are designed to enrich students' appreciation of the achievements and fascinating traditions of Russian civilization. Welcome to our website! We hope you enjoy what you find here. 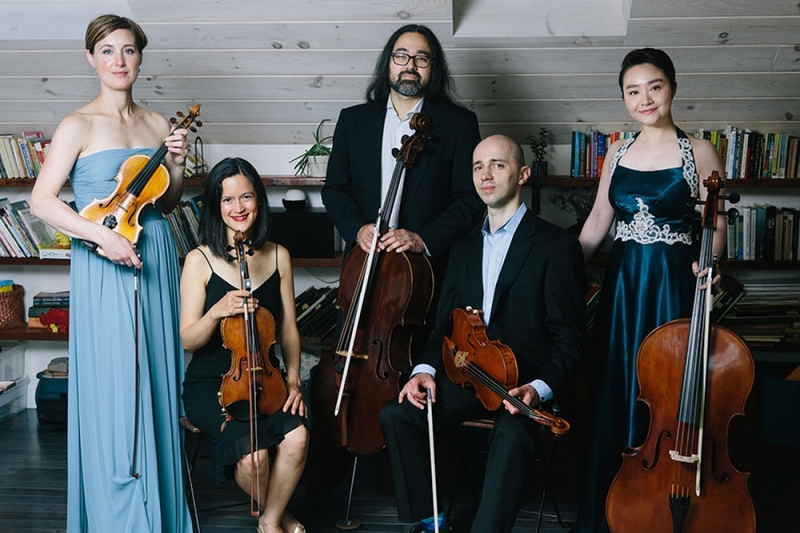 Sheffield Chamber Players returned to Wellesley College with a discussion and performance of Sergei Prokofiev's String Quartet No. 1.